Artists get paid by Youtube for covers! It took over five years but Youtube has now finally got their act together and signed a deal with the NMPA and HPA. The deal means that if you record a cover song and upload to Youtube, the artist who wrote it will get paid. You can read the full story here, youtube copyright deal. 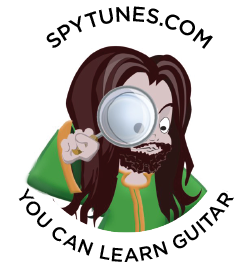 In march 2011, the account spytunestunes, which contained all of our songs was shut down after three “strikes” by Sam Cooke, Six Pence None The Richer and Jimi Hendrix representatives. The account was at one point the third most viewed guru account in the U.K receiving over 25.000 plays per day. Spytunes have contacted Youtube about switching us back on again now that we all agree but haven’t had a reply. The good news is that at least now we can do this. We and you, can record a song, upload to youtube and share it with each other and the world. We can do this without getting shut down. In hindsight, it is, of course, obvious that all we do when we do this is to promote music. How that was ever wrong in the first place is still beyond me, but there you go, we got there in the end! This is really good news since I have many new songs waiting to get recorded for electric guitar!